Becoming a part of Austin-Koblenz Sister Cities Committee is a commitment to the power of personal connections. Sister cities relationships provide benefits far beyond traditional exchanges, reaching all parts of our communities and improving our quality of life. Through the sister cities global network of over 2,000 partnerships in more than 500 communities in over 140 countries, we provide international access and opportunities for building relationships between our citizens. Networking services and resources help find partners, promote activities, and expand and improve programming. Thank you for becoming a Member of the Austin-Koblenz Sister Cities Committee! Austin-Koblenz Sister Cities Committee is committed to creating personal connections between citizens of Austin and Koblenz. The concept of face-to-face meetings and personal relationships across borders, known as citizen diplomacy, doesn’t just change the lives of individuals, but also helps communities thrive. Whenever possible, we organize groups to participate in special events in Koblenz, or we encourage our members to attend on their own. Bundesgartenschau (National Garden Show) in Koblenz. An Austin Friendship Garden was designed and constructed for the Bundesgartenschau through the combined efforts of members of the Austin-Koblenz Sister Cities Committee, the Partnerschaft Koblenz-Austin, Austin Community College, and Handwerkskammer Koblenz. Apprenticeship programs that sent young adults to Koblenz for 2 years to build career skills in professions of their choosing. welcomed 23 Koblenz students and their two teacher-chaperones for a three-week visit with homes stays (March 19-April 9). Austin student hosts were matched with the visiting students and plan to return the visit with the Austin group next summer. The exchange was establish in 1991 as one of the first programs of the Sister Cities relationship between Austin and Koblenz. Longevity of the exchange has been a major influence in the success of the Austin-Koblenz Sister Sisties Committee. Remarkable, considering it is a product of volunteers. We must thank Julia Lesher, Anderson High School German teacher, and Liza Feldkamp, Murchison Middle School German teacher, for taking full responsibility of organizing this outstanding exchange. 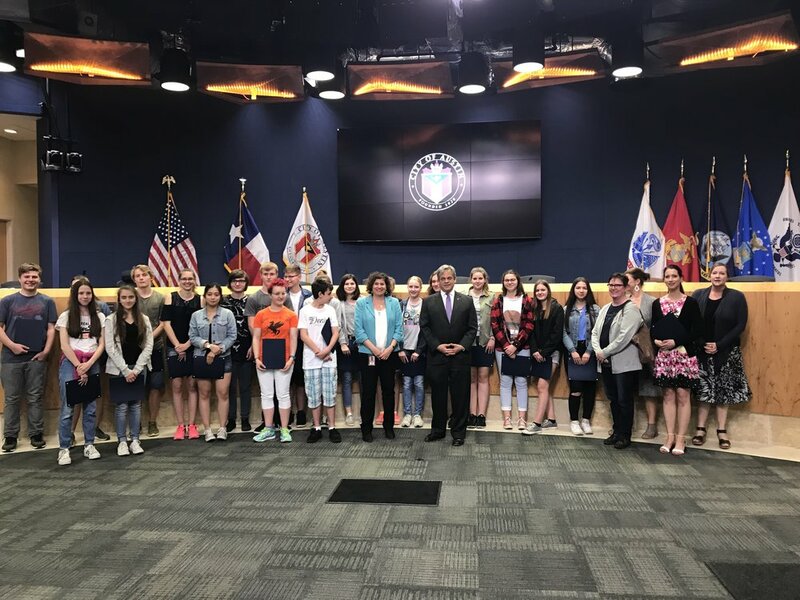 On Thursday, March 22, Mayor Steve Adler and Council Member Alison Alter recognized the Austin-Koblenz Secondary Student Exchange and its 27 years of operations. The Koblenz students were awarded certificates as Honorary Austin Citizens and the Austin host students were given certificates of appreciation for being ambassadors for Austin. an Active Austin Day: rowing on Lady Bird Lake and swimming at Barton Springs. 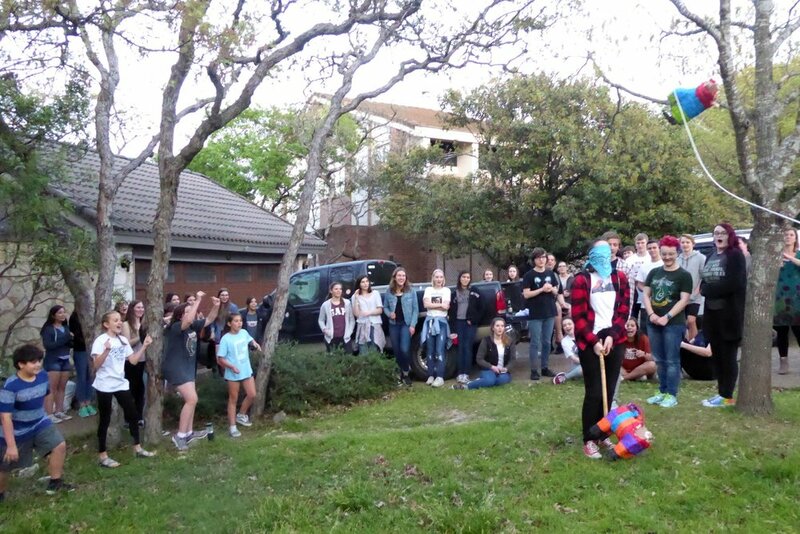 A short video showing the highlights of the 2018 Summit-Schenkendorf Elementary School Exchange by Jim Walters and his crew. Koblenz, Germany is an historic town of approximately 120,000 people in the state of Rhineland-Palatinate. The medieval town center survived two World Wars and the Romanesque, gothic and baroque churches testify to the city's history. The Rhine and Mosel rivers meet in the city, and the name Koblenz derives from the name Romans gave the city in 9 B.C., “castellum apud confluentes” meaning “castle at the confluence of the rivers.” Major automotive and aviation suppliers including TRW and Corus as well as High Tech Companies and a large Kimberly Clark papermill are located in Koblenz and the city is also a center for wine production. Meet our friends in Germany, the Partnerschaft Koblenz-Austin/Texas e.V.